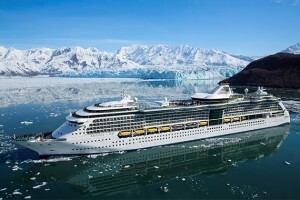 Radiance of the Seas at Hubbard Glacier. For the first time in seven years, Alaska welcomed its one millionth cruise ship visitor. Wendy Yoisten from St Albert, Alberta, Canada with her husband John, arrived on the Holland America Line ms Zaandam, which docked this morning in Juneau, Alaska. Lieutenant Governor Byron Mallott, Juneau Mayor Ken Koelsch, CLIA Alaska President John Binkley and a number of local officials and residents of Juneau surprised Mrs. Yoisten as she disembarked for the day. Native dancers greeted the couple and Mrs. Yoisten received a medallion, plaque and basket of gifts from Alaska businesses. Governor Walker issued a proclamation for the occasion, declaring September 22, 2016, Alaska Cruise Ship Visitor Day. In his remarks, Lt. Gov. Mallott recognized the proclamation, which states that visitor spending generates more than $4 billion in economic activity, helping all regions of our state. He added that cruise ships bring approximately half of all visitors to Alaska. Mayor Koelsch read a proclamation highlighting Juneau’s position as Alaska’s most popular cruise ship port. Koelsch noted that visitor spending supports Juneau businesses, creates local jobs and accounts for 20 percent of sales taxes collected year-round. The industry is expected to bring even more visitors next year as Alaska continues to increase capacity. 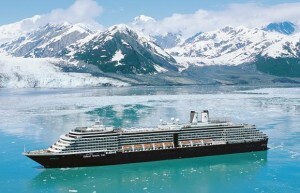 Holland America Line recently announced that it would be adding a seventh ship to the Alaska market next year. Seabourn has also announced that it will be returning to Alaska in 2017 for the first time in 15 years. The last time Alaska saw more than 1,000,000 cruise visitors was 2009. “Following years of amazing growth, Alaska took a big hit,” Binkley said. “We lost about 15 percent of our market. Many businesses suffered and statewide, Alaska lost more than 5,000 jobs. “Alaska is now seeing the benefits of the improved tax and regulatory environment enacted in 2010,” Binkley said. “Demand has also improved, following several years of significantly increased destination marketing. We have been able to build back our industry and all indications are that we will continue to grow. “With our economic situation, the challenge now is to keep Alaska competitive with the rest of the world and to keep marketing programs robust,” Binkley said. CLIA Alaska, formally the Alaska Cruise Association, was formed in 2007 as a not-for-profit organization whose membership includes the major cruise tour companies operating in Alaska. 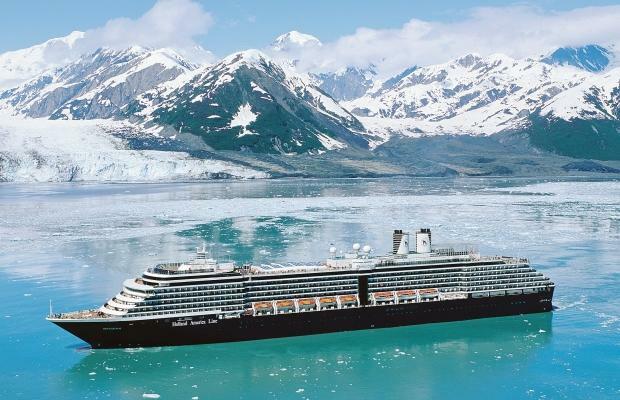 Holland America Line Eurodam will join its Alaska fleet for next year. 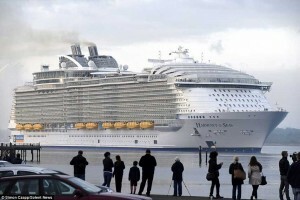 The 86,000 ton Signature class ship carries 2100 passengers. To support the increasing demand for Alaska summer cruises, Holland America Line is redeploying ms Oosterdam from Europe to The Last Frontier for the 2017 summer season. 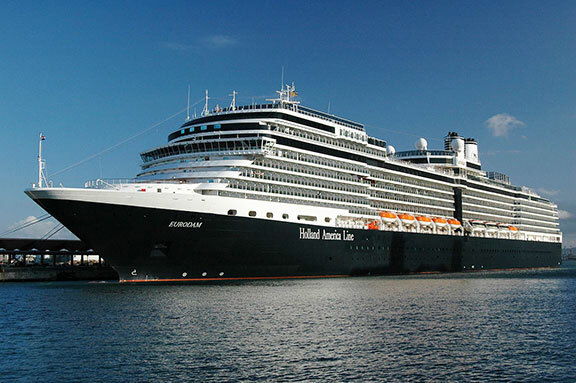 The addition brings the number of Holland America Line ships to seven in the region, with Oosterdam joining ms Amsterdam, ms Eurodam, ms Nieuw Amsterdam, ms Noordam, ms Volendam and ms Zaandam for a total of 135 Alaska departures, more than any other cruise line. 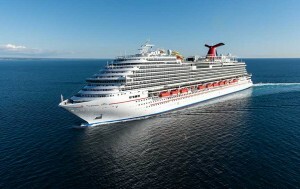 Carnival Breeze, at 128,000 tons carries 3700 passengers, will seem small compared to the new ships Carnival has planned. 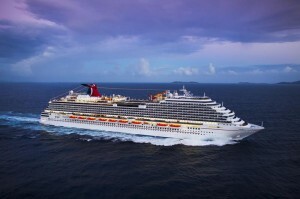 MIAMI – As part of a new multi-ship order announced today by Carnival Corporation & plc, Carnival Cruise Line is scheduled to take delivery of two new 180,000 gross-registered-ton cruise ships in 2020 and 2022 which will be the largest in the fleet of the world’s most popular cruise line. Both ships will be powered by Liquefied Natural Gas under Carnival Corp.’s exclusive “green cruising” design and will mark the first time an LNG-powered cruise ship is based in North America. 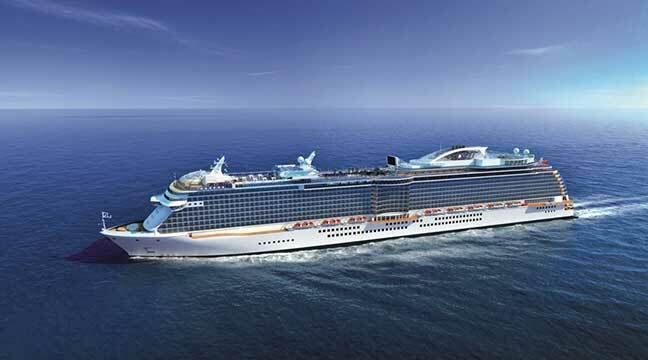 The largest cruise ship in the world will sail on 7-day cruises out of Barcelona for the summer. The largest cruise ship in the world – measuring more than four football pitches in length with a maximum capacity for 6,780 passengers – completed its inaugural season cruising the Mediterranean with itineraries of the Western Med from Barcelona to Rome. The $1.5 billion Harmony of the Seas sailed from a shipyard in Saint-Nazaire, France sailed to Southampton on its maiden voyage and will stay in the Med until the latter part of October when will sail between Florida and the Caribbean over the winter. width (215.5ft), passenger capacity (5,479 at double occupancy or a maximum of 6,780) and staterooms (2,747). With a crew of 2,100 from 77 countries, the floating city boasts seven ‘neighbourhoods’, a 10-storey slide that is the tallest at sea, 23 swimming pools, 20 dining venues, 52 trees, surf simulators, robot bartenders, a casino and climbing walls. Everyone wears a GPS wristband in case your child becomes lost! The beautiful Carnival Vista put through her paces on a sea trial. At a traditional maritime handover ceremony held earlier today at the Fincantieri shipyard in Italy, Carnival Cruise Line took delivery of its newest, largest and most innovative ship, the 133,500-ton Carnival Vista. The 3,954-passenger ship will reposition to Trieste, Italy, where it will depart on its maiden voyage May 1, kicking off a summer schedule in Europe that runs through October 2016. Following a 13-day trans-Atlantic crossing, Carnival Vista will operate a pair of 11-day cruises from New York in November 2016 then launch year-round Caribbean service from Miami later that month. Carnival Vista offers a number of unique features, including a groundbreaking suspended cycling experience called SkyRide, the first IMAX Theatre at sea and the RedFrog Pub & Brewery offering three different kinds of beer brewed on board. Also new is Family Harbor with special family accommodations and a family concierge, along with the tropics-inspired Havana staterooms and suites featuring a dedicated pool area. The ship’s outdoor spaces include a massive WaterWorks aqua park, highlighted by the 455-foot-long Kaleid-o-slide, the longest slide in the fleet. “Carnival Vista is a spectacular addition to our fleet and we can’t wait for our guests to experience all of the ship’s exciting new features,” said Christine Duffy, president of Carnival Cruise Line. “Carnival Vista will provide our guests an opportunity to create a lifetime of wonderful vacation memories while offering our valued travel agent partners another exciting vacation option to market to their clients,” she added. Alaska cruises see an uptick in interest for 2016. Cruise Lines International Association (CLIA) released the second Travel Agent Cruise Industry Outlook Report of 2016, revealing economic trends are positively impacting cruise travel, travelers are cruising closer to home and demand for river cruises continues. The report, which was conducted in February, is the second in an ongoing quarterly research study from CLIA, designed to forecast trends in the cruise industry among the travel agent community. According to the report, more than half of agents (53 percent) stated that lower airfares have had a positive impact on cruise sales, with cruise travelers finding it more affordable to travel to and from cruise ports. Similarly, 30 percent of agents stated that favorable currency exchange rates are making cruising more attractive for customers interested in international cruise vacations. While international cruise itineraries remain in demand, the report found Americans are currently planning cruise vacations close to home. Almost three-quarters of agents (73 percent) have seen an uptick in bookings to Alaska and nearly half (48 percent) are experiencing an increase in cruise demand for the Caribbean, Bermuda and Mexico cruises. Additionally, about a third of agents are reporting an increased interest in cruises to Hawaii (36 percent) and the Panama Canal (33 percent) as well as Canada and New England (30 percent). Princess has ordered two new ship orders to its fleet. Princess Cruises announced that it has reached an agreement with Italian shipbuilder Fincantieri S.p.A. to build two new ships, entering into service in 2019 and 2020. The finalization of the contract follows the announcement late last year of a memorandum of agreement between Princess Cruise’s parent company, Carnival Corporation & plc and Fincantieri for five new ships including the Princess Cruises new builds. As the world’s largest travel and leisure company, Carnival Corporation has an existing fleet of 100 cruise ships and a total of 16 new ships scheduled for delivery between 2016 and 2020. The contract was signed on Saturday (April 2) at a ceremony at Fincantieri’s shipyard in Marghera attended by Italian Minister of Infrastructures and Transport Graziano Delrio, Carnival Corporation Chairman Micky Arison, Carnival Corporation CEO Arnold Donald, Fincantieri CEO Giuseppe Bono and Stein Kruse, CEO of Holland America Group, which includes Princess Cruises. 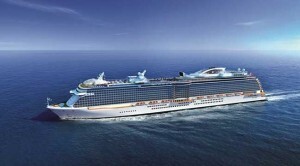 The unnamed 143,700-ton, 3,560-passenger ships will be the brand’s fourth and fifth Royal-class vessels, featuring an evolution of the successful design platform used on Royal Princess, Regal Princess and the new Majestic Princess coming in 2017. The new Princess ships will include the signature elements that have become synonymous with the brand’s best-in-class guest experience featuring a soaring central atrium, multiple dining, entertainment and retail venues; outdoor theater experience; and 80 percent of all staterooms with balconies. The ships will also include new innovations to enhance the guest experience even further. Pride of America, first launched in 2006 is 80,400 tons and carries 2138 passengers. 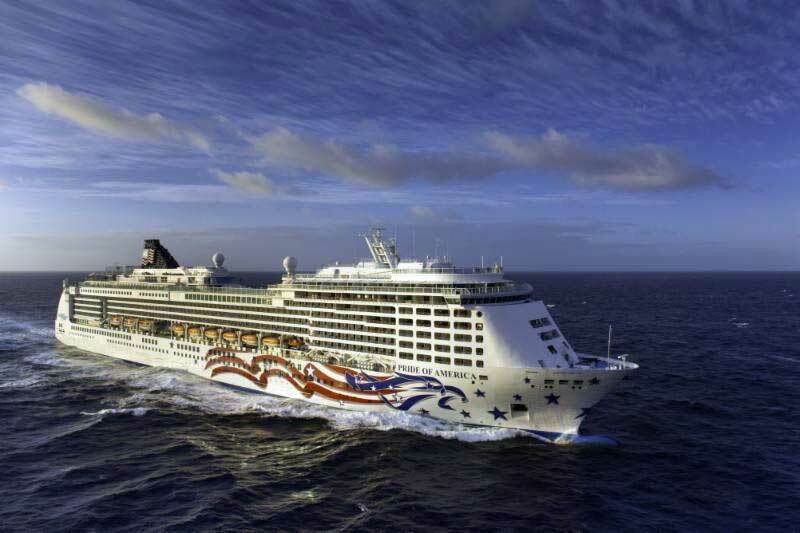 Norwegian Cruise Line’s US-flagged Pride of America returned to her homeport of Honolulu March 26 following a three and half week dry dock where she received ship-wide enhancements, including newly designed public spaces, brand new venues and refreshed décor in all staterooms. Pride of America’s extensive renovation is a part of The Norwegian Edge™ program, a $400 million investment that sets a new standard of excellence for the Norwegian brand encompassing the entire guest experience. “This is much more than just a fresh coat of paint and new drapes. Pride of America is now essentially a new ship, and the only one to offer this incredibly unique way to experience the Hawaiian Islands with 100 hours of time in port.” said Andy Stuart, Norwegian Cruise Line president and chief operating officer. Many of Pride of America’s public spaces, along with several of the ships’ restaurants as well as bars and lounges, were refreshed from top to bottom to receive a modern updated look with new contemporary décor and furniture. Every stateroom aboard Pride of America was touched by this renovation, receiving new bedding, new furniture, new flat screen televisions and updated flooring. Pride of America guests will now be able to enjoy not only refreshed spaces but also new modern venues including the Soho Art Gallery, an expansive venue that features original works of art available for purchase; the new Perspectives Photo Studio, an area for couples, families and friends to have professional photo memories of their vacation; and Dolce Gelato, Norwegian’s signature gelateria. Those looking to tie-the-knot while in any of the ship’s enchanting ports-of-call can do so in the ship’s wedding chapel. Guests looking to enjoy some quiet time can now do so in the completely transformed Conservatory; complete with new furniture, flooring and modern décor; and the library and card rooms, which were outfitted with new flooring, furniture and six computer stations for Internet access, for those who prefer to leave their personal devices at home. Beyond hardware upgrades, guests sailing aboard Pride of America can now enjoy new menus in all dining outlets offering more freedom and flexibility to guests with additional choices and à la carte priced items in complimentary dining rooms and specialty restaurants. 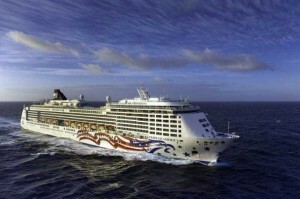 Pride of America is the only ship that sails year-round from Honolulu on seven-day intra-Hawaii cruises. This one-of-a-kind itinerary offers nearly 100 hours of port time and visits Hawaii’s main islands, including an overnight in Kahului, Maui; an overnight in Nãwiliwili, Kaua`i; stops in Hilo, Hawaii and Kona, Hawaii; as well as an afternoon cruise by the spectacular Nãpali Coast. Eurodam won accolades in the mid-size ship category. The reviews are in, and Holland America Line took home 23 top-five placements in the sixth annual Cruise Critic Cruisers’ Choice Awards, including three first-place honors. In total, six of Holland America Line’s premium ships brought home awards in categories ranging from Best Entertainment to Best Overall. The Cruise Critic Cruisers’ Choice Awards are based solely on and calculated from ratings submitted with reviews published on Cruise Critic’s website. In the mid-size ship categories, ms Maasdam took top honors for Best Overall Cruise Ship, Best Embarkation and Best Cruise Ship Value. ms Eurodam, ms Nieuw Amsterdam, ms Noordam, ms Oosterdam and ms Westerdam also earned top-five accolades. Overall, Holland America Line received 51 top-ten placements, more than any other cruise line. Also in the mid-size ship categories, Maasdam earned second place for Best Dining and Best Service, third place for Best Cabins and fourth for Best Entertainment and Best Public Rooms. Taking home six top-five rankings, Westerdam came in third for Best Embarkation, Best Shore Excursions and Best Value; fourth in the Best Fitness and Rec category; and fifth for Best Overall and Best Service. Noordam received a third place award for Best Service and fifth-place awards for Best Cabins, Best Dining and Best Value. Oosterdam took home a fifth-place award for Best Fitness and Rec. In the large-ship categories, Eurodam earned third place for Best Value, fourth for Best Overall and fifth for Best Service, while Nieuw Amsterdam earned third place for Best Service. The 2016 Cruise Critic Cruisers’ Choice Awards were determined from reviews submitted for cruises taken in 2015 and are given in three ship classes based on passenger capacity (large: 2,000-plus passengers; mid-size: 1,200 to 1,999 passengers; small: 1,199 or fewer passengers). Cruise Critic boasts the world’s largest online cruise community, with more than 150,000 cruise reviews covering approximately 500 cruise ships. 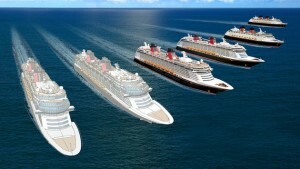 Disney Cruise Line will be building two new ships with the first launch in 2021.